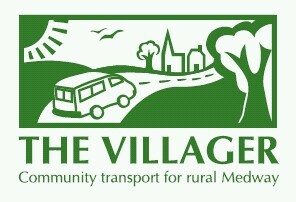 As a community transport scheme, the Villager relies on the support of volunteers. For the Villager to be able to continue to be able to improve rural residents’ access to services, both within and outside Medway, it needs the support and involvement of the local community. Most of the services are provided by volunteer drivers who give up their own time to drive the minibuses. This includes regular excursions and services provided for local groups. Volunteer drivers are provided with free training and support. Out-of-pocket expenses incurred while driving are paid. If you have held your licence since before 1997, you can drive a Villager minibus without any further qualifications. The Villager is always keen to find new ways to promote its services and would be pleased to receive any help. If you are a member of a local group that might want to hire a vehicle or if you know someone who might enjoy the regular excursions, please contact The Villager. The Villager runs regular excursions to a range of regional destinations, both within and outside Medway. These trips give rural residents the chance to visit places which are not currently served by a direct or affordable public transport route. The services are also known for the positive community spirit which develops from a group of residents going out for the day together. Where do the excursions go? famous stately homes and gardens; and large markets. Please use the contact details at the foot of this page for more information. Individual membership of The Villager costs £5 or £15 for families (up to two adults and four children). Excursion prices vary but are usually between £7 and £15 per passenger. Each of Medway’s villages is included in one of these zones and each zone receives a service at least once each month. To book a seat, simply give call the number below and say which service you would like to travel on. As a member, you can specify which bus stop you would like to be picked up from and members with mobility difficulties can be picked up from home. The Villager will contact a day or two before the date of the excursion to confirm that the service is running and give you a pick up time. As the routes are flexible and dependent on which passengers have booked a seat, it is not possible to publicise a fixed timetable but the pick-up will be within a 15-minute time slot.